After our sojourn to the past in Petropolis, we drove our rental car back to Rio's Galeao airport, a drive that should have taken an hour. But after encountering massive traffic jams and poor signage that led us astray, we got to the car rental agency way late. Budget, however, was kind enough to look the other way. 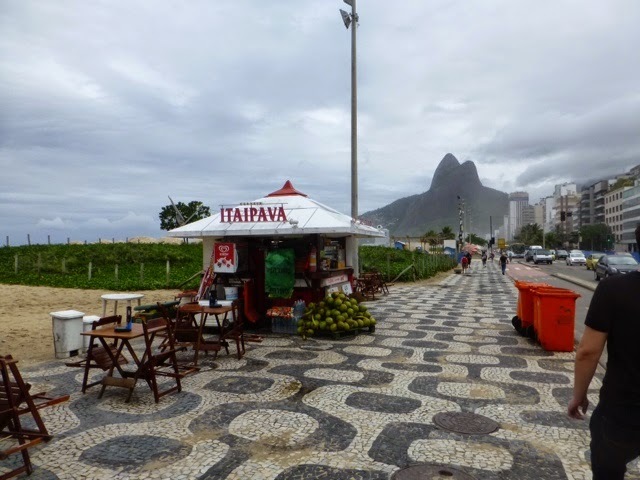 Our few days in Rio were spent meeting up with a childhood friend of mine and getting re-acquainted with a city that is now enormous in size from when I last saw it (besides, that had been through the eyes of a ten year old - what the heck did I know!). Rudi, Sandra, Diane and me. Meeting my old friend certainly was a highlight of the trip. Rudi and his wife, Sandra, flew in for a day from Itu, to join us in Rio. It had been 55 years since we had seen each other and it showed. After introductions we immediately began to rekindle the connection. Yet for a time, the moment had been filled with trepidations because we didn't know how things would work out after all this time. We enjoyed reminiscing about the past, talked about our parents and more recent events in our lives. 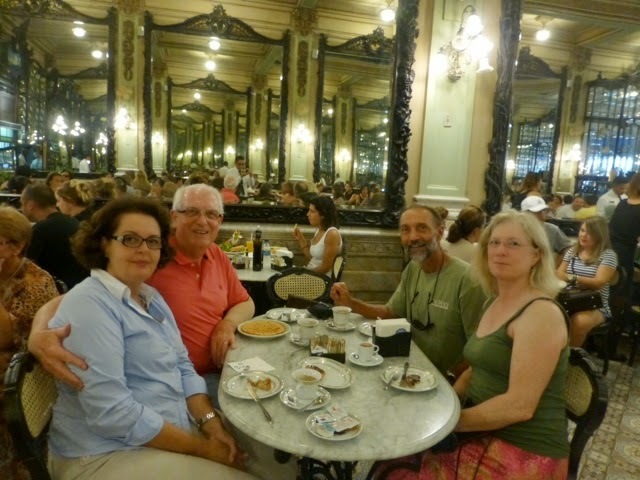 We lunched at a restaurant on the Copacabana beach and afterwards had dessert at a historic confectionary restaurant (Colombo), in the old center of Rio. At Colombo's enjoying some fabulous desserts and coffee. It was a truly unique experience seeing such an old friend again, after so many years. In the early evening we said our good-byes and made it a point to meet before another 55 years went by. 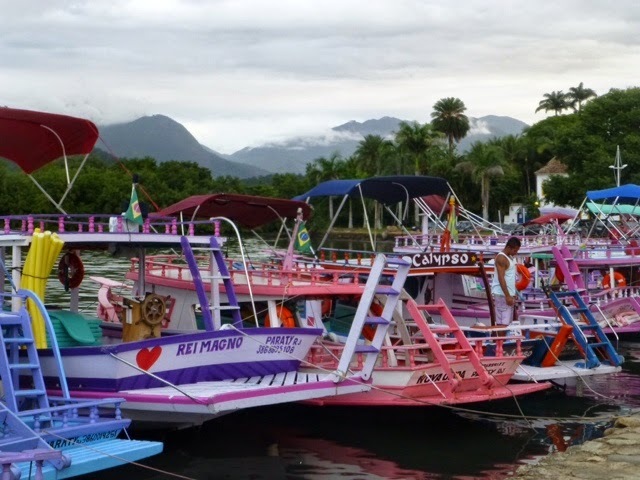 The next couple of days in Rio were spent getting more acquainted with the city and making plans for going south to the colonial town of Paraty. 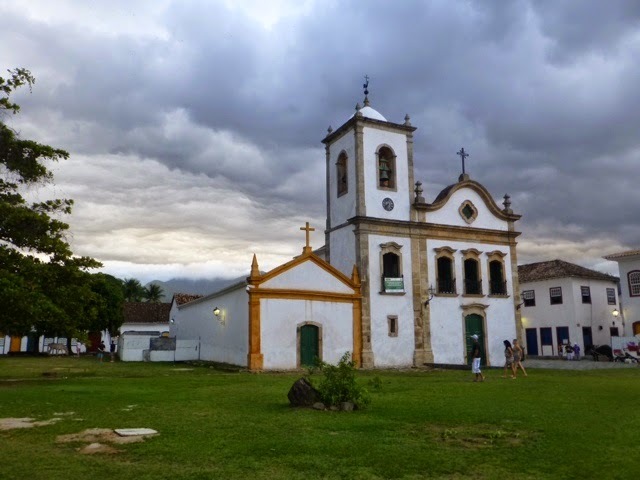 The main church in Paraty. 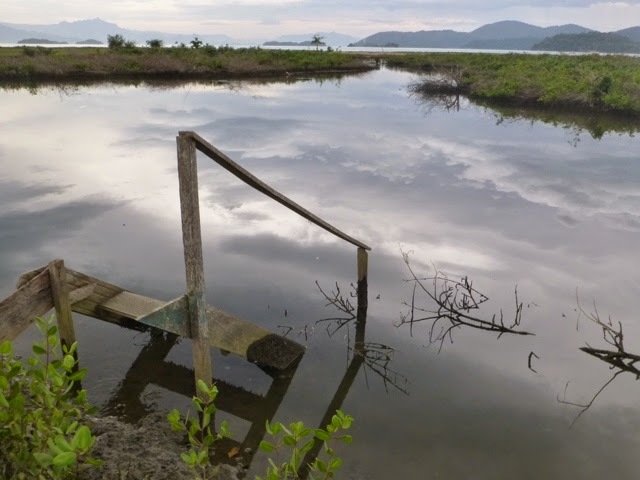 The bus to Paraty took nearly four hours. Part of the drive took us through hillside areas. But at one point we got to the coast line and drove the rest of the way, along a beautiful coast. 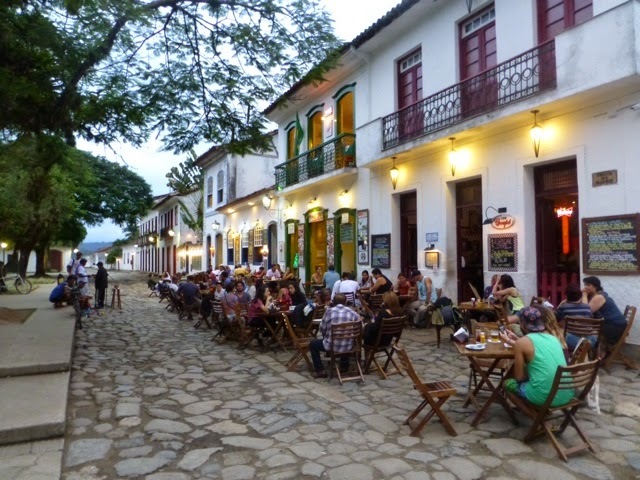 Paraty (pronounced Parachee) has a newer area and a historic zone. 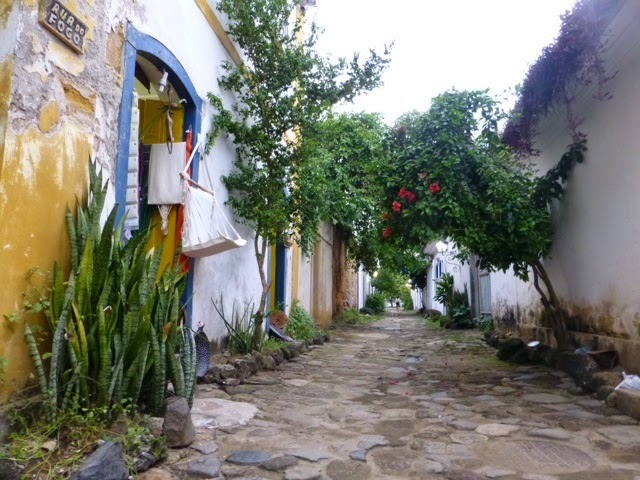 Our "pousada", which is more or less a Brazilian B&B, borders the old and new area. With wonderful hosts, great breakfasts and strong, Brazilian coffee - what else could one ask for. Colorful tour boats line the docks offering day-long island trips. 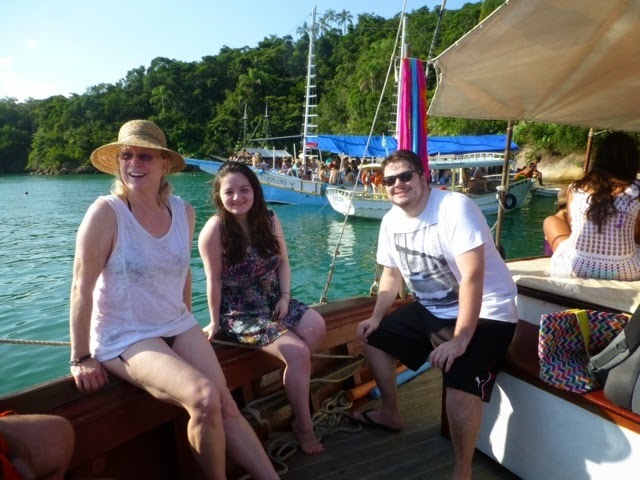 On our first full day in Paraty, we took a boat trip with a big group of people (mostly Brazilians). It was a lot of fun and we ended up spending most of our time with a young Brazilian couple (Lia and Gabriel) from our B&B, who spoke excellent English. 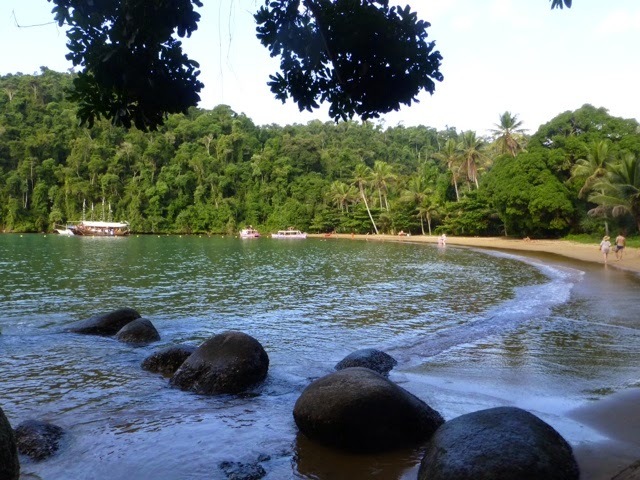 The boat tour took us to several islands and bays where we could swim and relax. 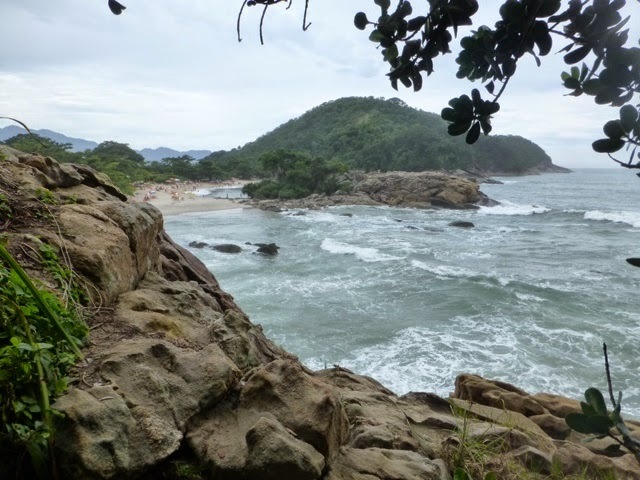 Some of the stops were beaches with backdrops of dense jungles. They reminded us of some of the South Pacific islands we've visited. The only things missing were the white sandy coral beaches. Here the beaches had the more typical light browne sand. 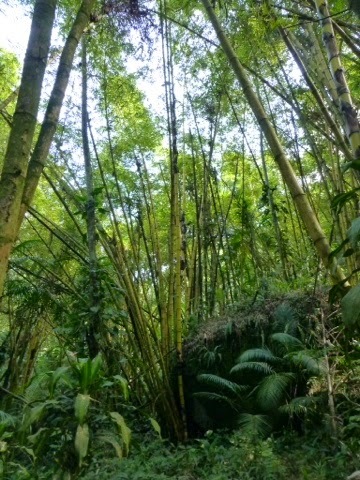 One of the stops on our waterfall and cachaça tour. The next day we took a tour of the surrounding mountain area where there are lots of rivers and waterfalls. 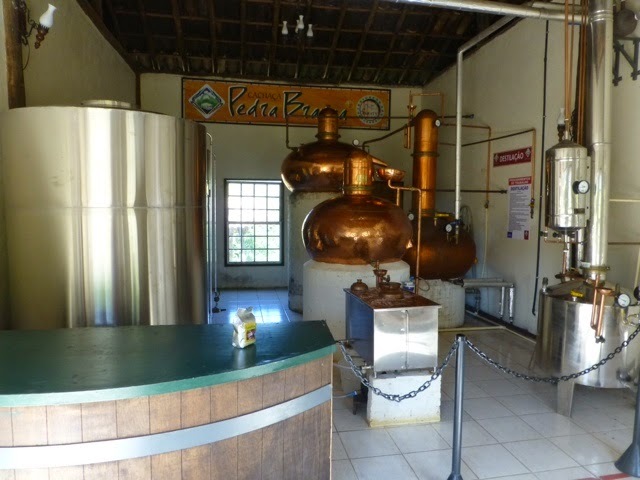 The tour also took us to some cachaca distillaries. One of the cachaça distillaries we stopped at. 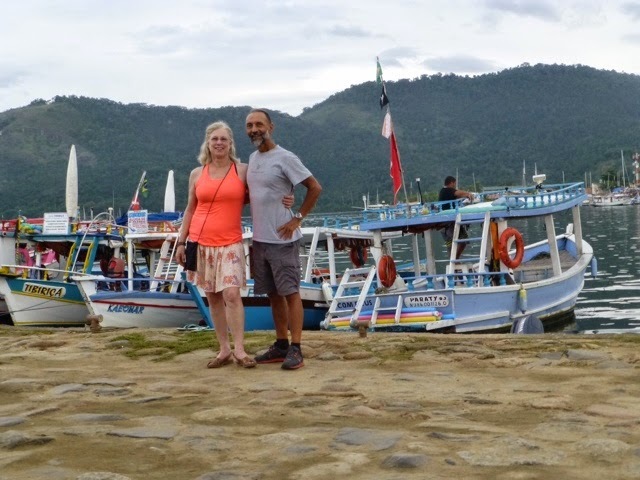 On our last day in Paraty, we jumped on a local bus that took us across the narrow peninsula to a small, sleepy beach town called Trindade, pronounced "Treendahjee". 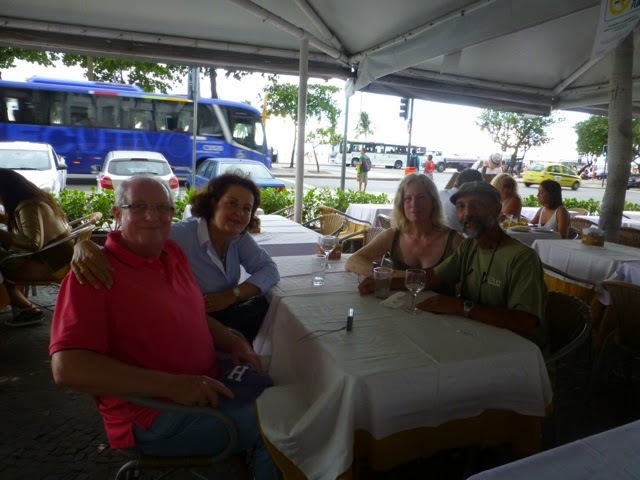 Our last evening in Parady we walked along the historic downtown area, browsed in some of the quaint stores and had a traditional Brazilian dinner consisting of fish, feijão (black beans) and rice. 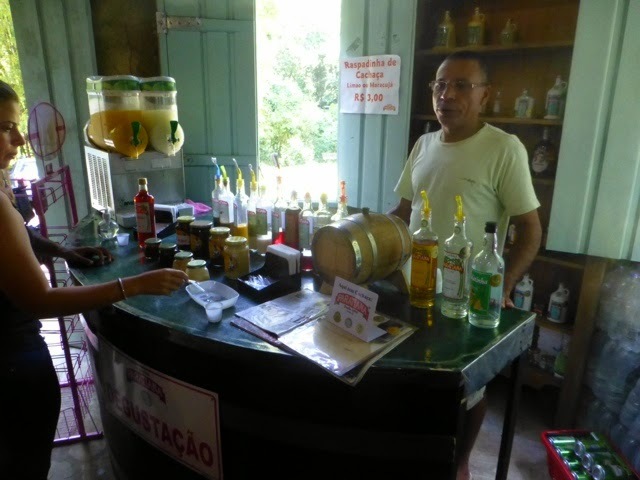 For drinks, we had caipirinhas, the typical Brazilian cachaça drink made with limes.